KENT, Wash. (September 16, 2016) — Accell North America today announces a strategic partnership with the United States’ largest fleet of mobile bike shops, Beeline Bikes. The partnership will bring to market the first seamless online bike sales experience paired with direct ready-to-ride delivery. Customers will be able to purchase a bike online, including assistance from an online specialist, then select and schedule Beeline Bikes as a fulfillment option. The customer can choose the exact time for a fully-assembled bike to arrive at their location of choice with a Beeline Bikes’ mobile shop mechanic. Beeline Bikes’ current fleet of 31 mobile bike shops across the United States is focused on a convenient, professional experience for bicyclists of all types. All of Beeline Bikes’ mobile bike shops are operated by professional bicycle mechanics who have been fully vetted and undergo certification and training through Beeline University. Beeline Bikes has developed a technology platform specific to the mobile bike shop operations, which includes online/mobile scheduling, customer relationship management, bike data capture, real-time inventory management and automated shop re-stocking. “Accell has a longstanding history and great experience in the cycling industry; their brands are highly known by consumers. We look forward to pairing that history with the leading edge technology and consumer experience that Beeline Bikes brings to the partnership,” said Buhl. Accell North America, with its brands Diamondback, Raleigh, Redline and IZIP, is committed to leading in cycling innovation with product, brand and specialty business practices to grow access to bicycling. 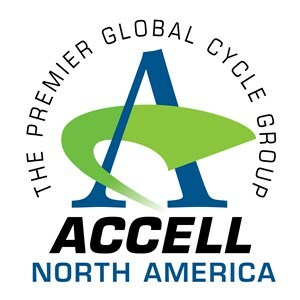 Accell North America is the North American business entity of Accell Group, NV, Europe’s leading bicycle company.